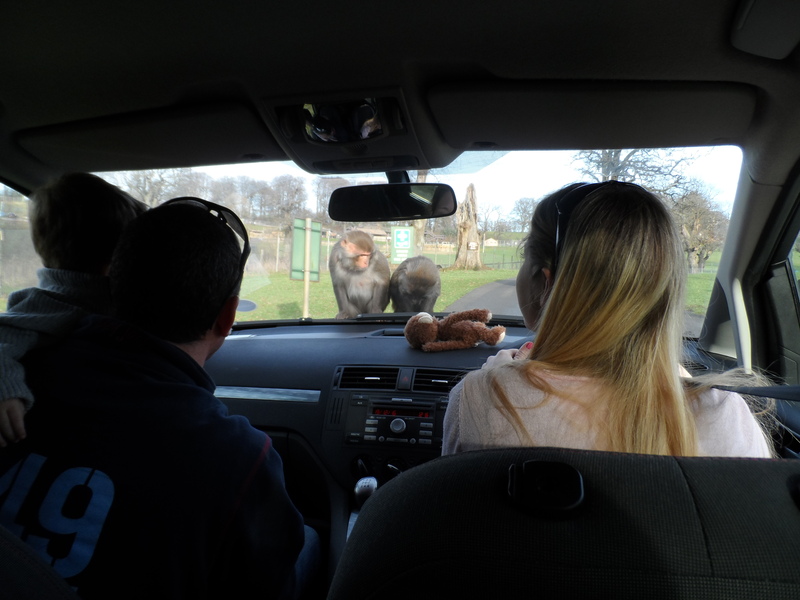 Longleat Safari Park – Trippin' Thru! 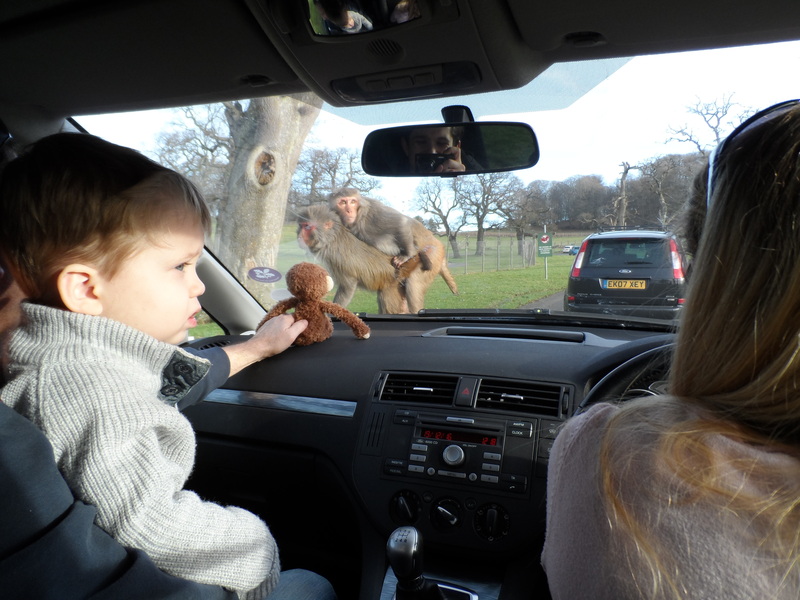 Just before Christmas I took my grandson Ollie, daughter Emma and son James to Longleat Safari Park (which means I paid for them) and it was very excellent. 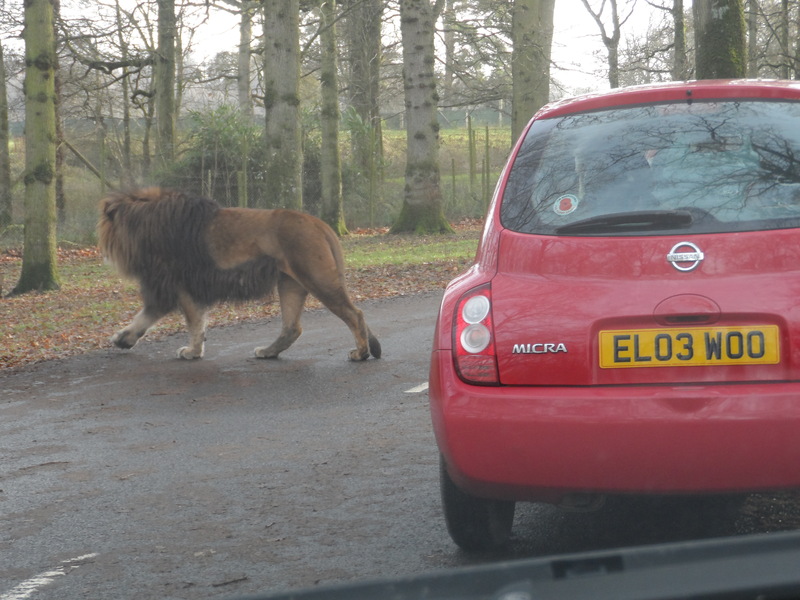 The Lions were super active and being extremely liony. 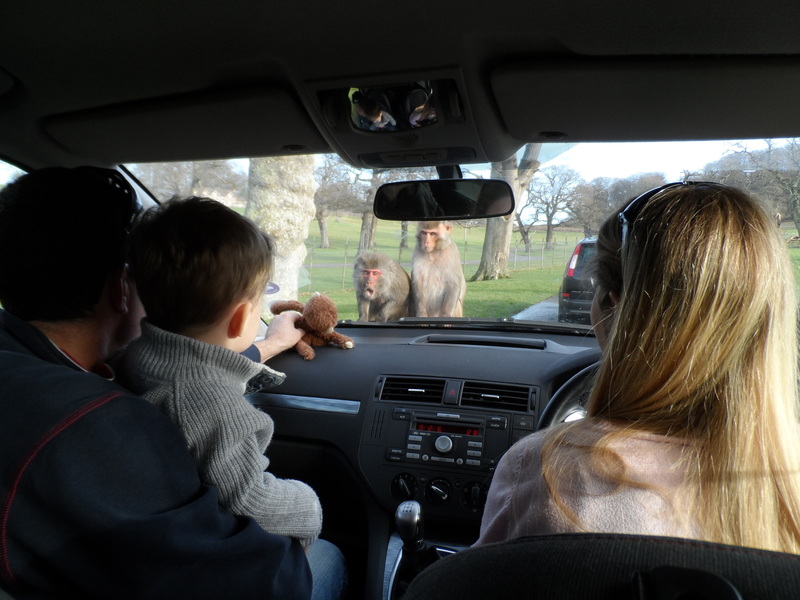 Ollie hated the Monkeys as one startled him as it jumped on to the windscreen. 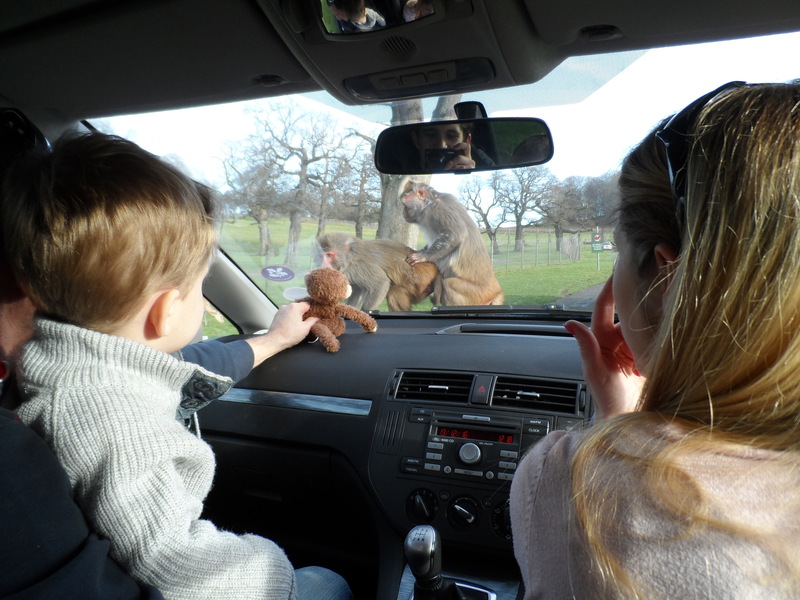 I had to wave Ollie’s stuffed, wooly monkey around to fend them off but that just seemed to attract the whole colony. We walked through the Penguin enclosure (with permission obviously) and one bit and has bruised Emma. She is worried that she might have rabies. 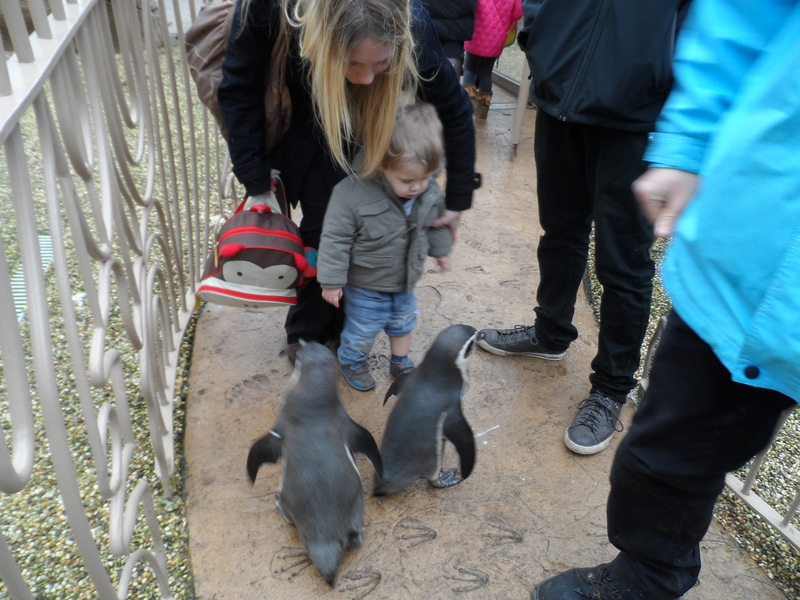 I assured her that the rabid penguins are kept inside for health and safety reasons. We went into the noisy, tropical bird enclosure and one sat and then shat on my arm. I had a millipede walk over, and by default, massage my hands with it’s 300 legs. Ollie didn’t like the millipede. 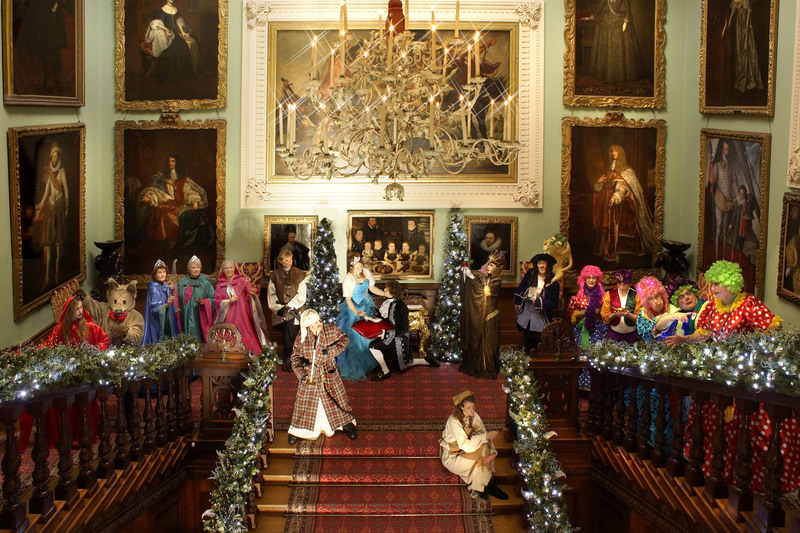 Then we went into the main house that they had turned into a Pantomime House where upon we were met by Cinderella and a life size carriage and we were sprinkled with fairy dust before we could proceed. Each room had been dressed beautifully as say Aladdin or Peter Pan or Goldilocks and the Three Bears etc and each room had a ‘stay in character’ actor to greet and amuse one. Ollie didn’t like these stay in character actors and his protestations nearly awoke Sleeping Beauty. The evil queen made me jump in the Snow White room as I thought she was a waxwork. A great few hours, brill time to see the animals, who are definitely more active than in the summer heat and the Pantomime rooms in the main Longleat House were all wonderfully magical and Narnian and a rubber stamp for the spirit of Christmas, that you leave with.